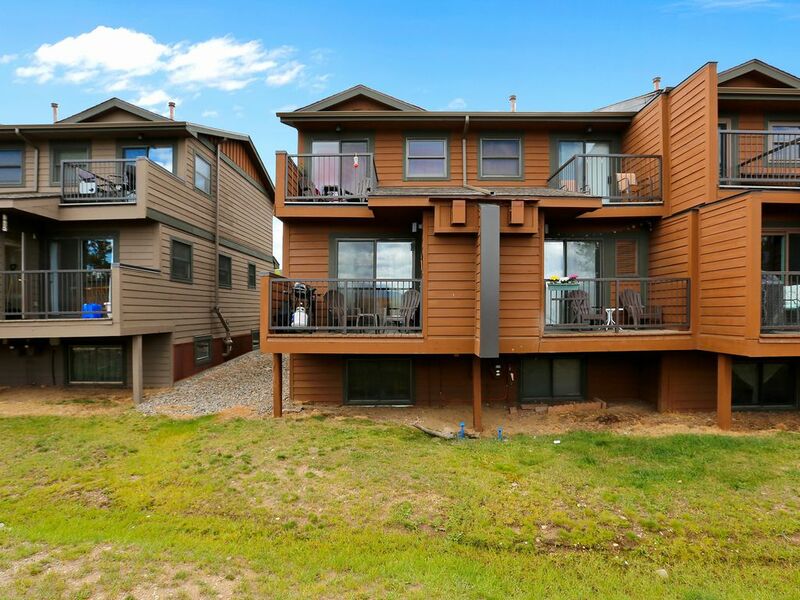 This tri-level townhome is a couple of blocks from Main street in Frisco, right off I70-W. Restaurants, bars, and shopping only 10 minutes away. It overlooks gorgeous Lake Dillon. Centrally located between 4 major ski slopes (Breckenridge, Copper, Keystone, A-basin). Each slope is within 15 minutes, as well as walking distance to bus stop (summmit stage, free slope transportation). The unit is spacious, with 3 Levels that allow for privacy. Ideal for Large Families with children, even Multiple Families. Flat Screen TV in each bedroom, Free Wireless Internet, phone, Cable TV, Hand Crafted Mountain design Window Hangings. Garage for parking and Storage. Walking and Bike Paths nearby. Snow removal included. Washer and Dryer in unit. Same day drop in classes no extra fee - spin, step, yoga, pilates and aerobics. Suzy and I live full-time in South Florida. We are both Registered Nurses, but have pursued quite contrasting careers. Suzy is a top-notch Emergency Room Nurse, where I work as a consultant at hospitals across the country. We have 2 lovely children. Both of us were raised in Illinois. I have always been intrigued by the western portion of the United States. I travel extensively for work, and was lucky enought to spend alot of time in Denver. We both decided that Colorado was a great place to purchase a second home. We love sight-seeing more than anything. Everytime we visit here, the mountains seem more and more intriguing. I do not ski, but my wife does. Our home is 15 minutes from 4 world class ski-slopes. The summers are beautiful. Our home is directly across the Frisco Bay Marina. We really enjoy renting a boat and spending time on the lake. Oh yes......one of the most spectacular events that I have witnessed in Colorado is how the Aspens turn a brilliant yellow in the fall! Complete Linen Service. Clean bath towels and wash cloths plentiful. (4) 3 flat screen TV's through unit. The condo was clean and as advertised. I have rented several condos in this area over the years. I found the beds to be the most comfortable of any I have stayed in. The owners were among the best I have ever worked with and were extremely responsive through the entire rental process. It was an easy walk to main street Frisco which is a plus. I also liked that the bedrooms were located on different floors from the main living area and the sounds from the living area would not carry to the bedrooms which allowed you to separate yourself from others who wanted to stay up later and do so in peace and quiet. I also loved the garage. It allowed you to keep you car out of the weather and allowed you to avoid cleaning snow off the car before going anywhere. The only down side was the living room couch wasn't very comfortable and there were way too many dishes, glasses and forks and spoons, etc. which created limited space to store things. All in all I would recommend the property and wouldn't hesitate to stay here again. Your condo was beautiful! This was the first visit for our family and it couldn't have been better. Thank you for the use of your home and we look forward for many more vacations in the future in Frisco. Condo is located within walking distance of great food and boutique shopping. Came to Frisco for large family getaway! Fabulous location, very clean split level condo, and fast response from owner. Safe and easy to use electronic locking system. Would definitely recommend to others! Worked great for the 10 of us for our overnight stay. I would rent again. Humidifiers great. Please include garage key info in emails sent out with code. Rates were reasonable and location great. Took family on ski vacation. 2 skied 2did not. Very comfy beds. Good location for skiers. Good location for shopping, dining. Tv in bedrooms was very nice. YES I WOULD STAY HERE AGAIN! Pass to Silverthorne Recreation Center is included with booking of this townhouse. This center includes indoor waterslides, hot tub and sauna, lap pool, basketball courts, racquetball courts, weight room, aerobic/fitness clasess, and more. $150 housekeeping fee is applicable for stays less than 4 days only.